Have a Chromebook or want to quickly browse parts of the Milwaukee Community Map in the Chrome browser? No problem. To open interactive maps in Google Earth for Chrome, just choose from the map options below. Download the file, then open Google Earth for Chrome, click in the sidebar on My Places>Import KML file, then select the file. * Click on the eyeball to toggle it open or closed. We recommend viewing one file at a time and turning off the eyeballs of files not in use. 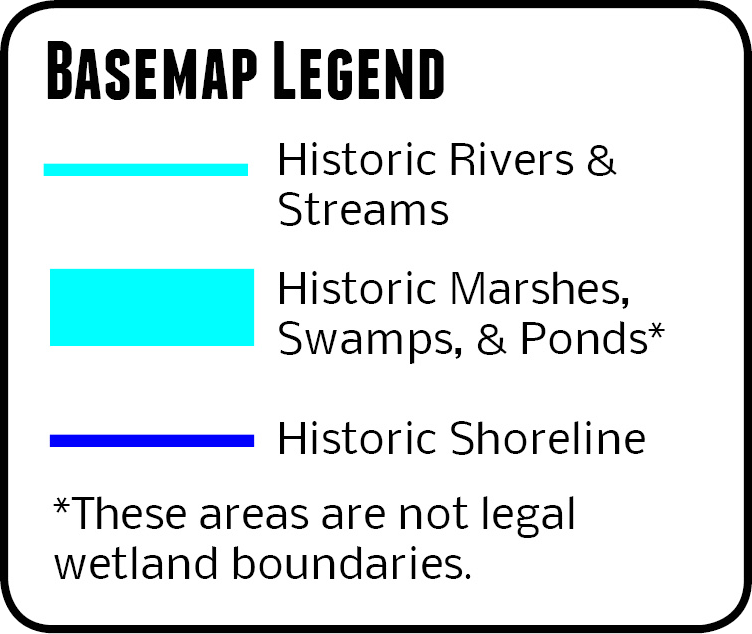 Refer to this web page for Legends, Miranda’s Water Story Bubbles, and source info. *Also note: when you first import the files, you will be asked to save them on your device. You may need to click "Save" and then "Allow." The next times you open Google Earth in Chrome or on your device, however, the files from previous sessions should still be there. **Not all Milwaukee Community Map features are available for Chrome and some features may render imperfectly on your device. For the most complete experience, download Google Earth Pro for Desktop to explore the Milwaukee Community Map in its entirety. *Note: colors of neighborhood regions connect back to the sections of John Gurda’s book, Milwaukee: A City of Neighborhoods. Click on each neighborhood to discover more about its story and see a preview of the custom posters designed by Jan Kotowicz. No legend. 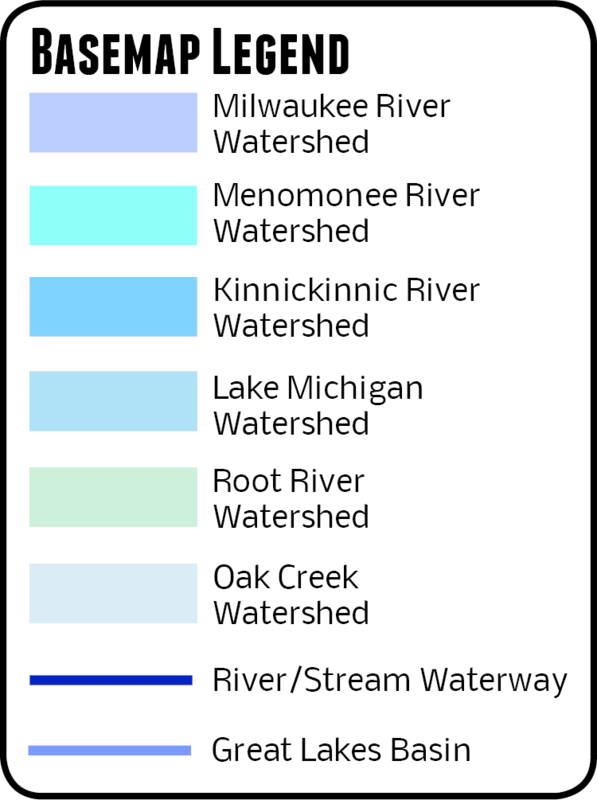 Water Story MKE marks denote clickable hidden detail from 2017-18 walks, mainly green roofs.